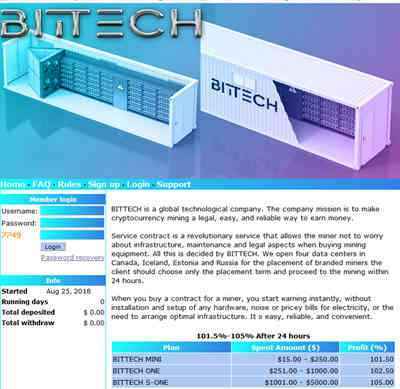 BITTECH is a global technological company. The company mission is to make cryptocurrency mining a legal, easy, and reliable way to earn money. 25.08.18 10:19 Transfer Sent Payment: 60.00 USD to account U18323024 from U1294xxx. Batch: 225799591. Memo: Shopping Cart Payment. Deposit to BITTECH LTD User allhyips.